Only a half hour’s drive from Seattle, St. Edward State Park has 25 miles of trails that wind through forests of Douglas firs and sword ferns, 3000-feet of undeveloped shoreline along Lake Washington, and plenty of family-friendly amenities: a perfect spot to get in a post-work jaunt, or to spend a whole Saturday unwinding. For a great four mile trail run, link the loop around the northeast quadrant of the park with the loop around the west side. You’ll twist around gorgeous single-track trail, and then fly down the hill to Lake Washington’s coast. The trails down to the shore have steep sections, and then level out for the stretch along the shore. Unfortunately the steep downhill there means you will have to save the hardest part of the run for last: remember to reserve some energy for the trek back up to the car. 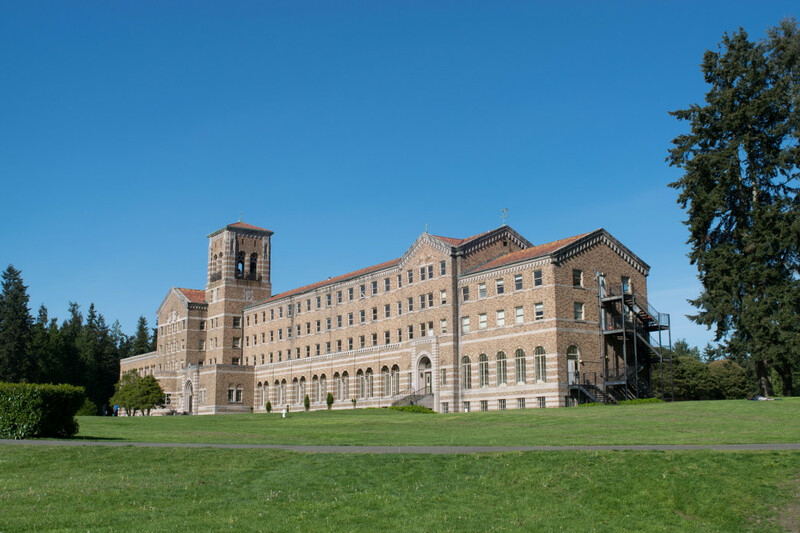 Natural beauty abounds within the park, but St. Edward’s most striking attribute is the Romanesque Revival style brick building; a former Catholic seminary. The school was active from 1931 until 1977, when declining enrollment and changes to seminarian education forced the school to close. 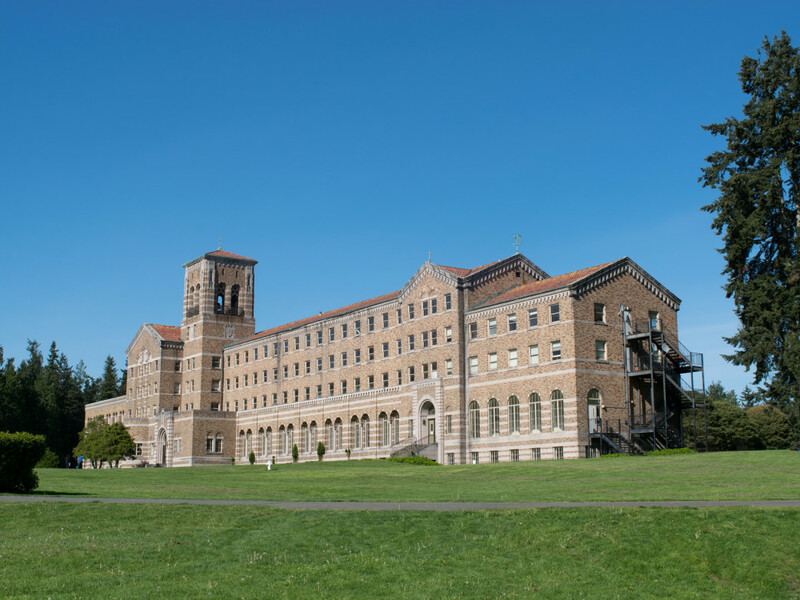 The Seattle diocese then sold the building and its 316-acre surroundings to the state of Washington for use as a park. Unfortunately, while the building still looks grand from the outside, its innards have largely fallen into shambles. It is currently closed to the public, save for the dining hall a garden alcove that are available to rent by special arrangement. The indoor swimming pool, which was once open to the public, has been mothballed since 2009. As of September 2014 Washington State Parks had resigned itself to the likelihood that they don’t have enough cash on hand for the building’s maintenance or repair, and are thus looking for other means of funding: look out for possible changes in ownership in the park’s future. Once you’re on the trails, however, you’ll quickly feel any sources of worry and concern begin to melt away. And don’t forget to look around you as you scamper: visitors with keen eyes have a good shot at spotting wildlife such as bald eagles and otters. Hiking and mountain biking are other very popular activities on the trails. The park also has several picnic areas, horseshoe pits, beach volleyball, baseball and soccer fields, and a native species garden. Anyone looking for an accessible excursion to spend one hour or several, with plenty of options to keep everyone entertained. 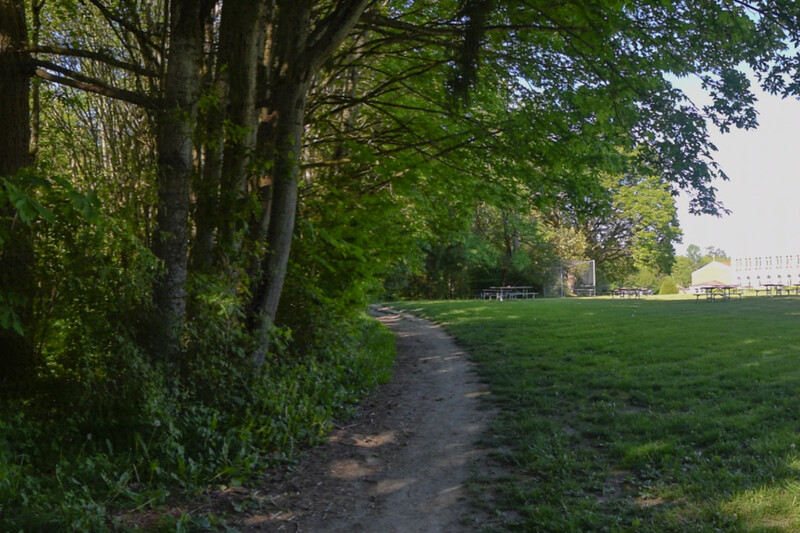 The park is located at 14445 Juanita Dr. N.E.in Kenmore. The parking lot is somewhat limited, so Washington State Parks urges you to consider carpooling – especially if you’re going on a beautiful weekend day, when it is likely to be busy. Maps and signs to mark the trailheads are easily found from the parking lot. Open 8 a.m. to dusk.